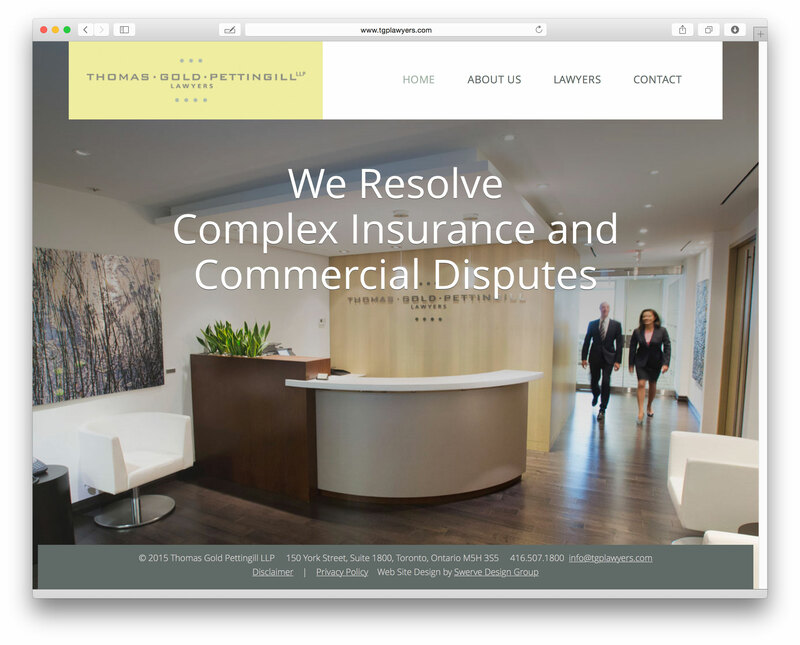 Swerve continues to build a lot of law website designs for Toronto lawfirms.Thomas Gold Pettingill LLP asked us to create their new site so we designed and built a clean, modern site starting with a custom photo shoot of their location and people and ending with a fully responsive website design. 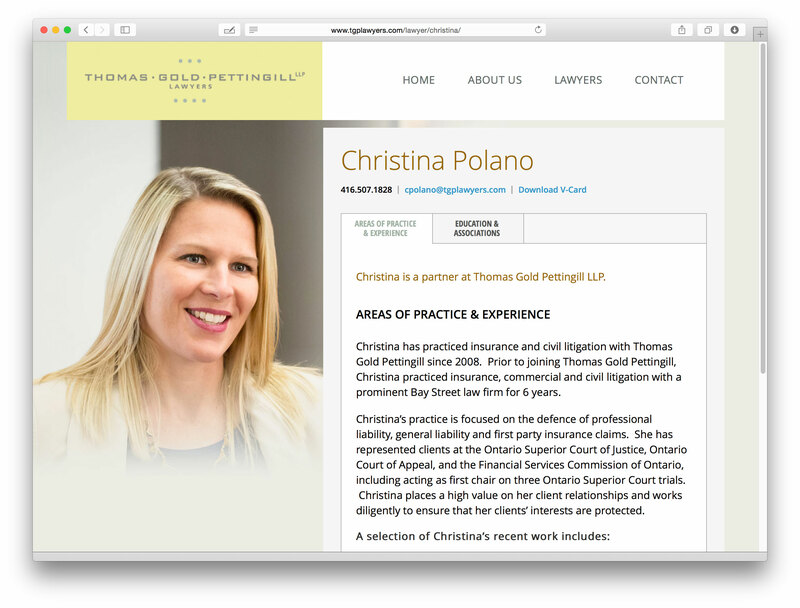 Thomas Gold Pettingill LLP is one of Canada’s leading insurance law firms. They hired Toronto based Swerve Design to create their new website design. They wanted a site that was bright, clean and easy to navigate. Large photos were used through-out the site to take advantage of large monitors that more people have. We hired André Van Vugt from Giant Vision to do some amazing new portrait photography. 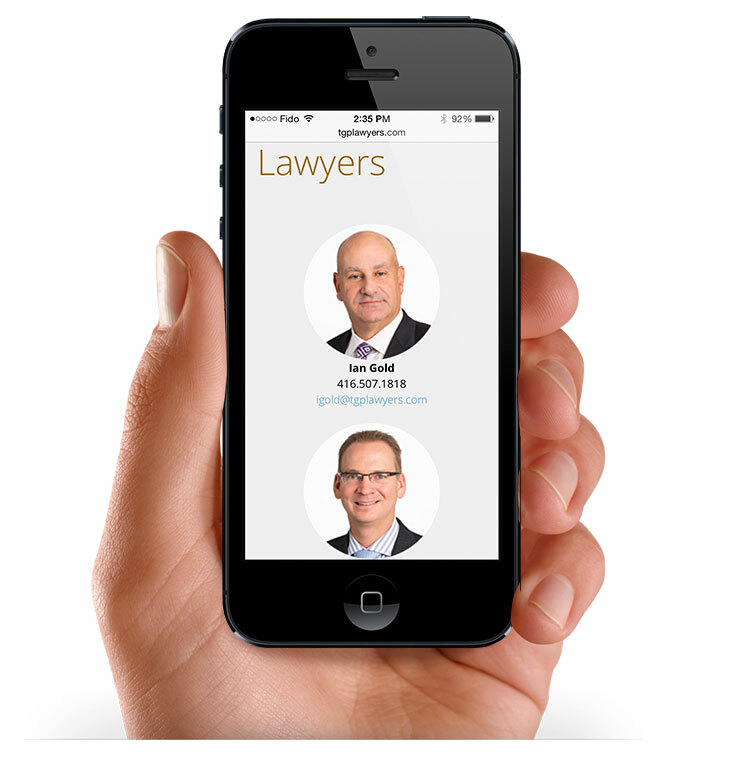 Each lawyer has two different images on the site, a regular formal shot and then a candid photo featured on their full bio. Viewers are able to download V-Cards of each person to easily add them to their contacts. The website design we did is fully responsive, so everything works great on mobile phones and tablets.